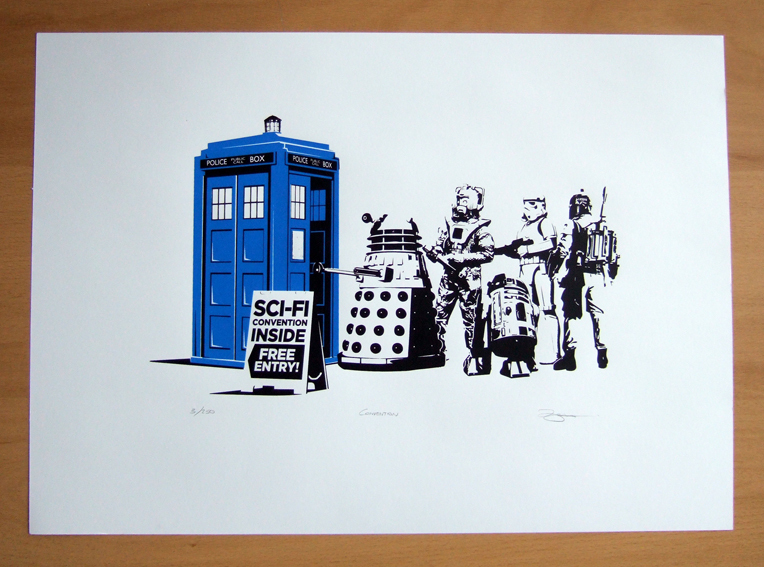 A little Star Wars/Dr who mash up! Enjoy! 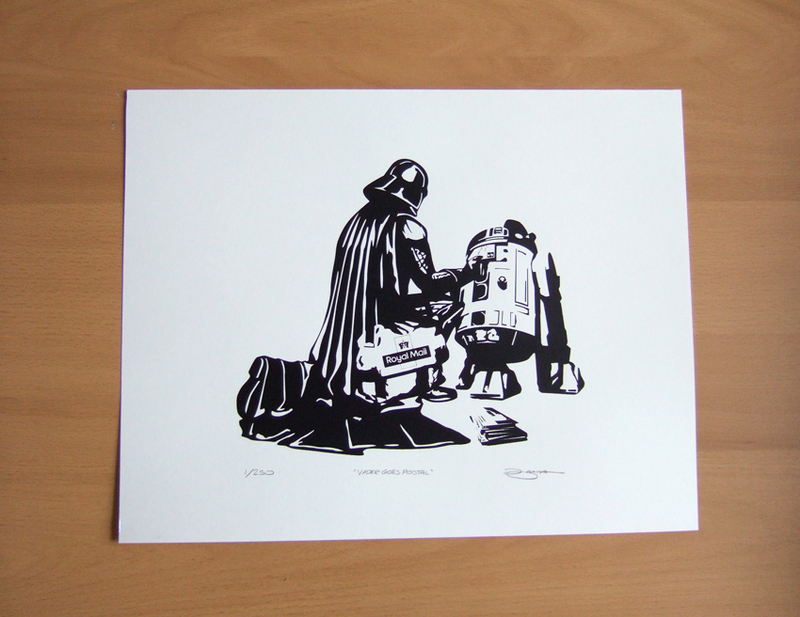 This 2 colour hand pulled screen print measures 59cm x 42cm (approx) and is printed on high quality acid free 220gsm art stock. 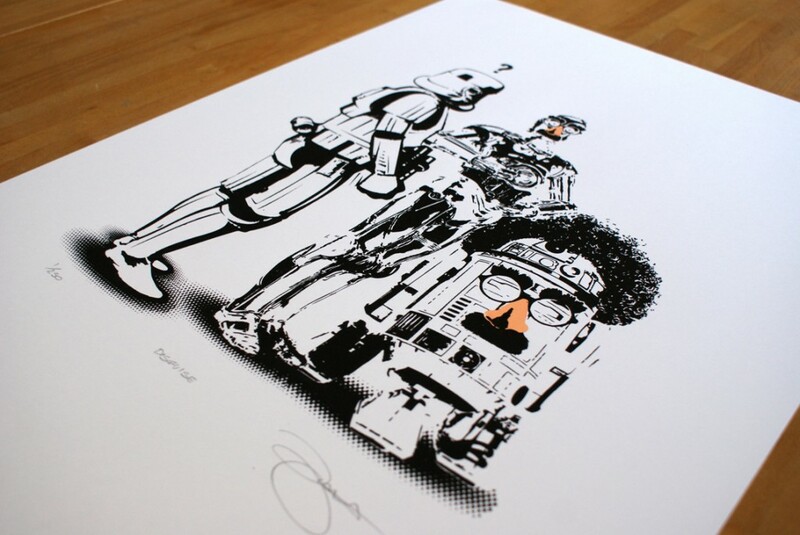 These signed & numbered prints are strictly limited to 250 copies. As always once they’re gone they’re gone! 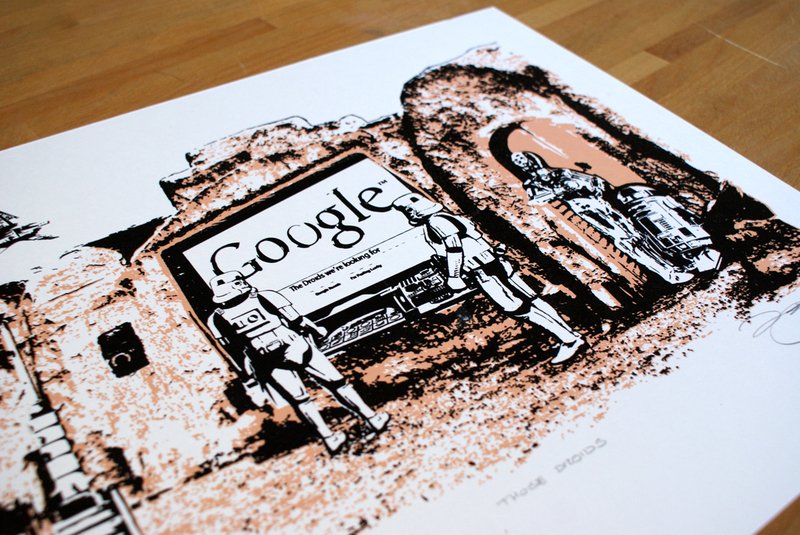 All prints will be rolled and shipped in sturdy cardboard tube. Posted in Prints. 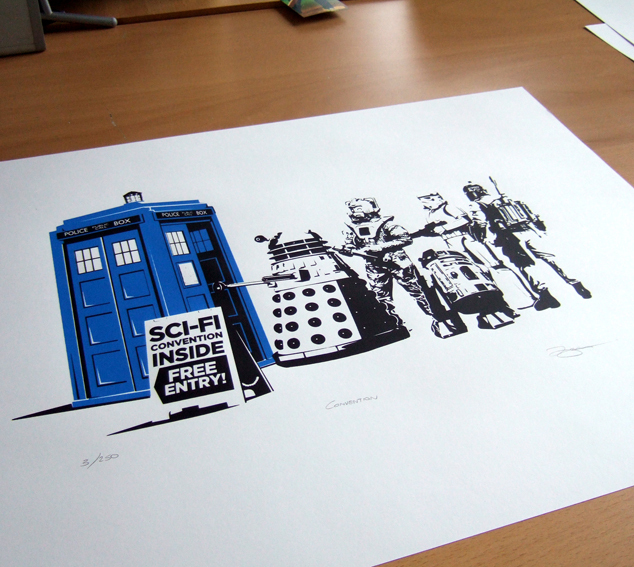 Tagged with Boba Fett, Cyber Man, Dalek, Dr Who, R2 D2, Sci-fi, Star Wars, Storm trooper, Tardis. Really not much to say about this one other than enjoy! 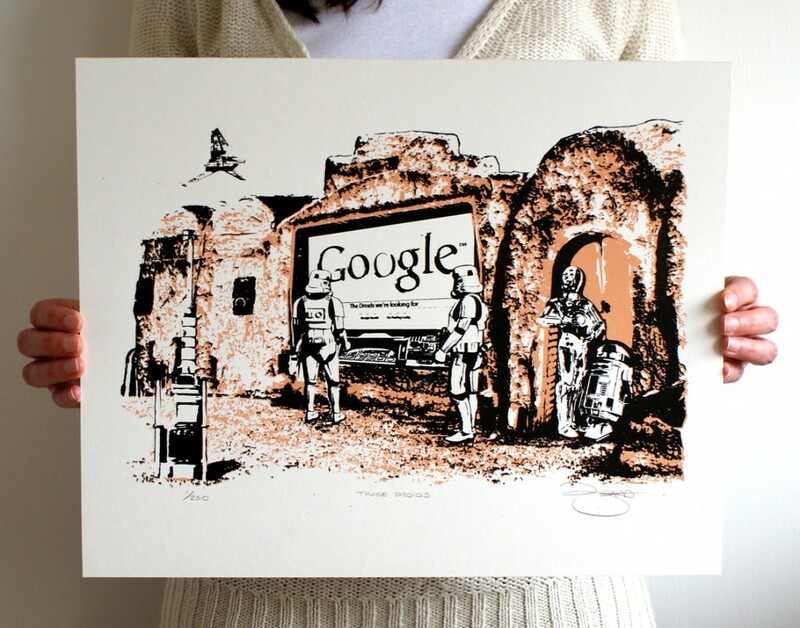 Each print measures 34cm x 42cm (approx) and is screen printed on high quality Acid Free Heritage 315gsm art stock. 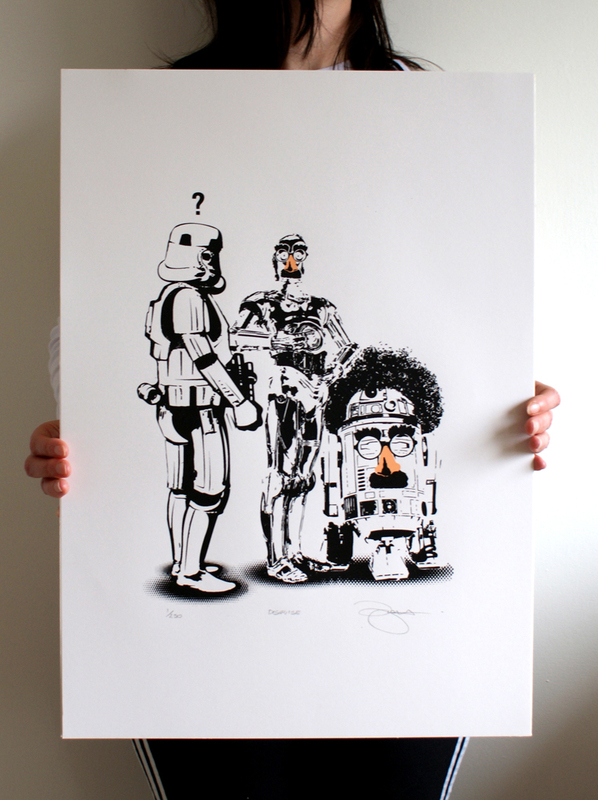 These signed & numbered prints are strictly limited to 250 copies, and are for sale at £20 each. Posted in Prints. 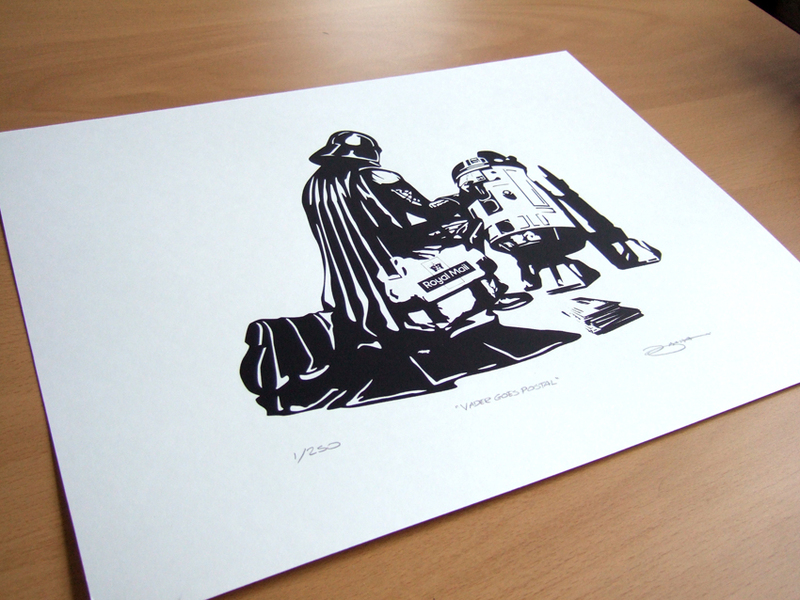 Tagged with Darth Vader, R2 D2, Sci-fi, Screen print, Star Wars.